The semi-finals of Eesti Laul ended tonight as the last six finalists were chosen. The semi-final shows were held in Tartu and hosted by Ott Sepp and Piret Krumm. The voting was in two rounds, in the first combination score of the jury and the public sent forward four acts and the public chose the last two finalists in the second round. Uku Suviste – "Pretty Little Liar"
Kerli Kivilaan – "Cold Love"
Sünne Valtri – "I'll Do It My Way"
Lumevärv feat. 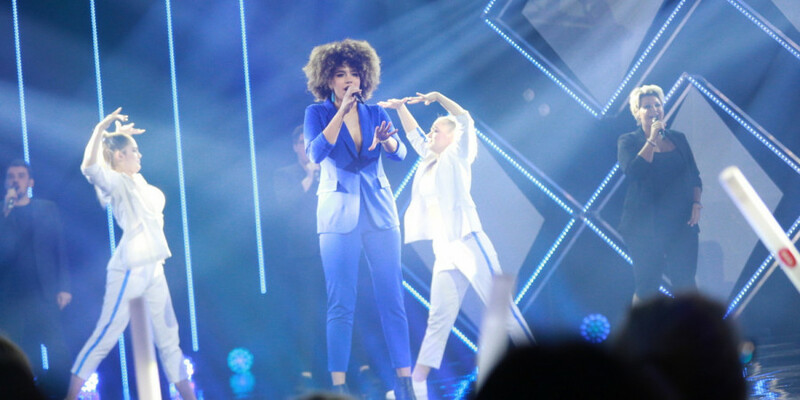 INGA – "Milline päev"
The Swingers – "High Heels In The Neighbourhood"
xtra basic ft. Emily J – "Hold Me Close"
Sandra Nurmsalu – "Soovide Puu"
Related storyEstonia: Victor Crone wins Eesti Laul 2019 with "Storm"
Twelve songs will compete in both semi-finals where six will qualify from each. In the first round of voting the combination score of judges and public voters determines the first four finalists and in the second round scores go to zero and public votes through two more acts. Estonia 2018: Elina Nechayeva - "La Forza"
Estonia has participated in Eurovision Song Contest 24 times by now, first in 1994. Estonia has participated every year, except 1995. Estonia has managed to qualify to the grand final only 6 out of 15 times. Estonia has won just once, in year 2001 with the song "Everybody" performed by Tanel Padar and Dave Benton and 2XL.